As sports fans, we often watch the greatest athletes and marvel at their ability to perform at such a high level under the brightest of lights. It is only natural to wonder how they can execute with such power and precision when there is so much at stake. But a behind-the-scenes look at two of the greatest athletes of our time offers a surprisingly simple explanation. In fact, these amazing, record-setting, Hall of Fame-bound athletes’ secret can be summed up in a single word: routine. It turns out Tony Gonzalez (#2 in the history of the NFL for receiving yards) and Clayton Kershaw (Dodgers ace and two-time Cy Young winner) both rely on their routines to produce such incredible numbers. So what can we take from these valuable opportunities to view greatness from up close? Gonzalez’ routine begins long before the first game with a notebook. He has one for each of his 17 seasons where he logs and tracks his goals, meeting notes, and mantra for the season. Kershaw has his routine for each of the five days of his pitching “cycle” down to a science, including an hour-by-hour routine for days when he is pitching. According to Kershaw, the effect of his routine is to simplify the game: “Baseball is so hard as it is. For me, if you simplify it, it takes a little bit of the weight off, rather than trying to figure out all these other things. It’s just peace of mind”. For example, a pitcher may receive the throw from the catcher and analyze the count, runners on base, weaknesses of the hitter, etc. He follows this with a deep, relaxing breath as he toes the rubber. Finally he chooses his target and moves into his delivery, with all of his attention on the catcher’s glove. Following competition, there is a ton of value in having a routine as well. No matter the result of the game, there is valuable analysis to be done and lessons to be taken in. Use this time as a chance to check in on your goals as well. Elite performers often have one thing in common: they have an attention to detail that can often border on obsessive. This obsession with details has helped them create habits that transfer to high performance, even under the gun. Take Gonzalez, who struggled early in his career with drops until he consulted one of the game’s all-time greats Jerry Rice. Rice’s secret? You guessed it – his routine. Gonzalez copied Rice’s routine of practicing before practice, to the tune of 500 balls per week. 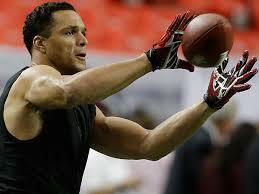 He even required that the passes were thrown inaccurately to better prepare his instincts and hands. The top two pass-catchers in NFL history are currently Rice and Gonzalez. Not a coincidence. 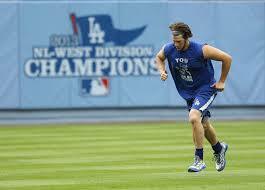 As Kershaw’s quote alluded to earlier, sports can become more and more complicated the higher up you compete. The primary purpose of a routine is identifying the elements of your performance that you can control, and focusing your energy and attention there. Feelings of control lead to confidence and freedom as you let go of the many variables outside your control. Finally, you will develop composure as you learn to focus on your routine. If managing emotions is something you struggle with, you can even build elements into your routine that help you stay composed (i.e., breathing, self-talk, refocus cues). Now routines may sound simple, but they are far from easy to execute well. An effective routine must be personalized to your strengths and your sport. If you’re interested, I’d be happy to help you put all of this together. Simply contact me to set up a time to learn more about implementing a routine to take your game to another level. ← What do the greatest athletes, coaches, and performers have in common?